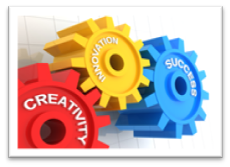 Innovation is claimed by many organizations giving the impression they offer products that are creative. However, EnVision Packaging starts with your project with innovation in mind. Putting together the ideal package isn’t always easy. That’s where EnVision Packaging comes in. Backed by more than 50 years of experience, we can offer more options by providing the right solutions to meet your packaging needs. EnVision Packaging offers a wide variety of solutions to meet your needs. Just as important, we’re a full-service, turn-key resource that can take your packaging concepts from the drawing board and deliver them to your doorstep. EnVision Packaging offers many of the standard packaging substrates used in the industry. APET or PET is the most common plastic used in the packaging industry. It offers tremendous strength, crystal clear in appearance and versatile in design and printability. EnVision Packaging stocks many standard APET thicknesses that get your project quicker to press and out the door. SBS paperboard is another common substrate used in the folding carton market. SBS material is great for litho printing and foils. Though the material lacks the clarity like APET, it generally is used to keep the cost per packaging low. EnVision Packaging believes creativity and innovation comes in using plastics, but as a turn-key resource wants SBS paperboard to be a choice when needed. Polypropylene and Polyethylene are two plastics that are not seen much in the folding carton market, but could be creative choice for your next packaging project. EnVision Packaging is unique because it produces, in their own facility, these two substrates giving you some unique options. Polypropylene can be produced as a clear material, but think about using a frosted finish or a custom tinted color. Polyethylene typically is produced as an opaque color (white being the most common). This allows you to use it in place of SBS giving you a stronger package. Both plastics are UV printable and can provide for some unique design options. EnVision Packaging started with the concept of wanting to meet the expectations of the packaging industry by being low-cost producer of high-end printed packaging supporting the middle market segment. In order to accomplish this mission, we purchased state-of-the-art printing and finishing equipment that makes our mission a reality. Our equipment gives you all the standard requirements needed to produce your package, but has other features allowing us to give you more options to innovate the outer package. EnVision Packaging wants your project to be a success by using our depth of capabilities. Our strength in the industry will be providing you with the right solutions to meet your packaging needs. Here are just a few of the capabilities we can provide to you.